A large scrap handling systems pulls cardboard scrap from a corrugating machine and blows it into an outdoor cyclone for recovery and baling. The cyclone was located on the rooftop of a facility with residential neighbors. Material Handling fans are notoriously loud and have a significant “drone” related to the rotation speed of the fan blades. The obvious solution to the fan noise was to place a silencer between the fan and the cyclone. The challenge is that the silencer needed to allow material to travel through it without clogging. 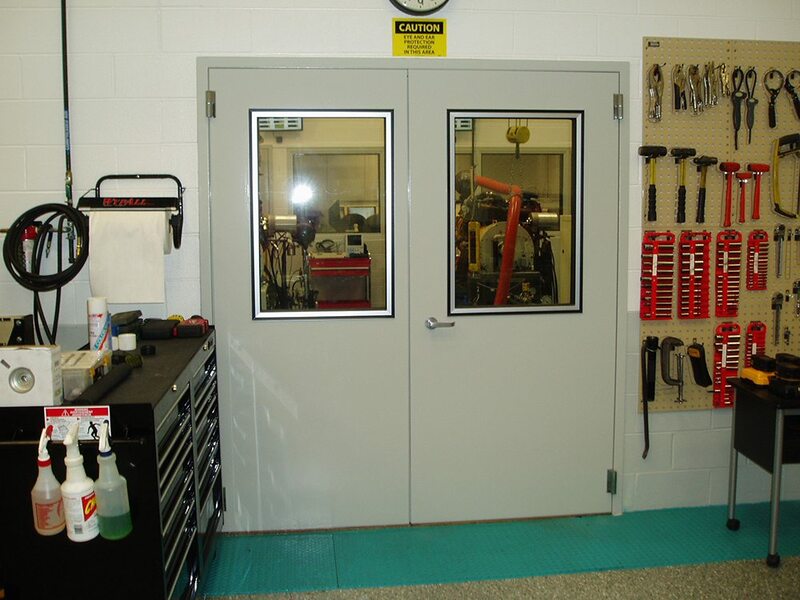 O’Neill Engineered Systems, Inc. designed and installed a silencer that was specific to this application. It was “tuned” to attenuate the low frequency fan drone but also completely “open” to allow scrap material to flow freely into the cyclone. 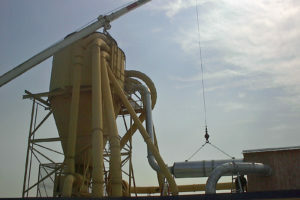 After installation, the fan noise was reduced by 20 dB, the facility was brought into noise compliance and the complaints from the neighborhood ended.